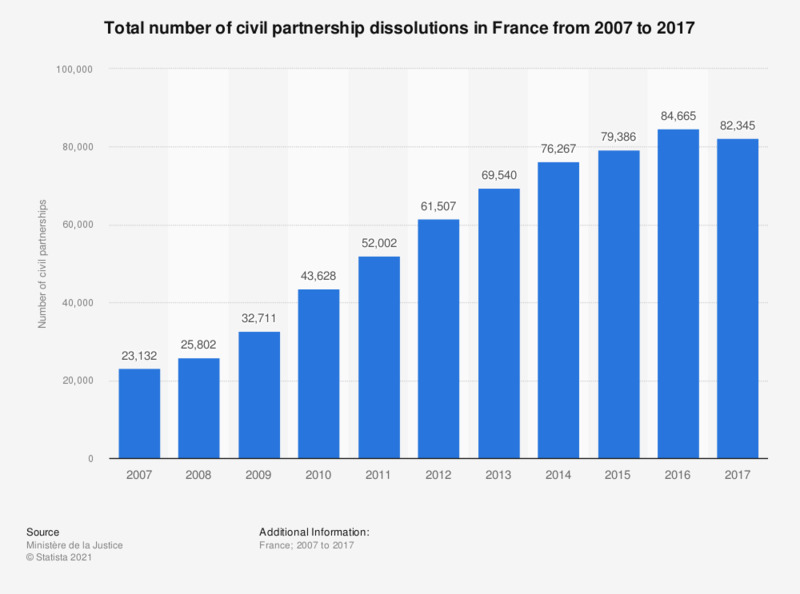 This statistic shows the total number of civil partnership dissolutions in France from 2007 to 2017. In 2007, there were 23,132 civil partnership dissolutions in France. Since that year, the number kept rising to reach 84.665 in 2016.